"For they themselves declare concerning us what manner of entry we had to you, and how you turned to God from idols to serve the living and true God,"
We had originally intended to write a piece this morning detailing frustrations we've had with the Governor over the past few days...when we learned late yesterday that the property tax bill had been voted out of committee. According to several capitol sources, getting that bill out of committee (where it died during the regular session) was a direct result of the Governor's behind the scenes actions. Soo...we'll continue to wait and see. Over the past 6 months, this website's opinion of the Governor has been...an emotional roller coaster ride. On the one hand, there are the lousy UT regents and the fact that he went to the mat for film subsidies during crunch time of the budget negotiations. On the other hand, calling the special session and setting out an ambitious agenda are tangible action that shouldn't be belittled. Greg Abbott is a Governor who sometimes takes too long to directly engage in major fights, but is usually pretty good once he does so. 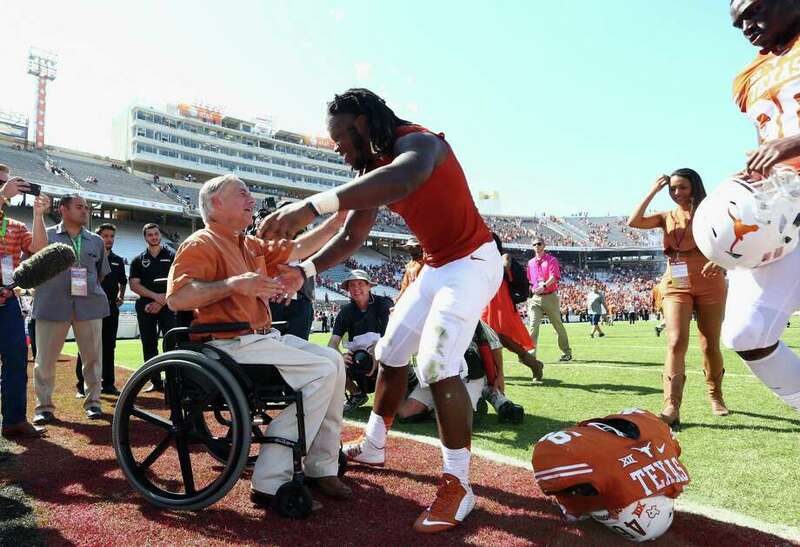 Greg Abbott gives lip service to grassroots priorities, but always seems to find more time for lousy UT regents and film subsides, while he says inflammatory things on Fox News to distract from that reality. 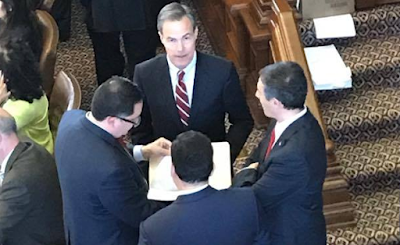 Another common theme that has emerged in talking with sources is that Greg Abbott has a certain theory about how to most effectively navigate the legislature. The short version is that it involves a lot more carrot than stick. To put it mildly, this website has a different view of the landscape. We believe house leadership is incorrigibly wicked and that the only way to get anything out of them is to publicly bludgeon them into submission. But...the property tax bill is out of committee...so we'll give the Governor a little more time to do things his way. 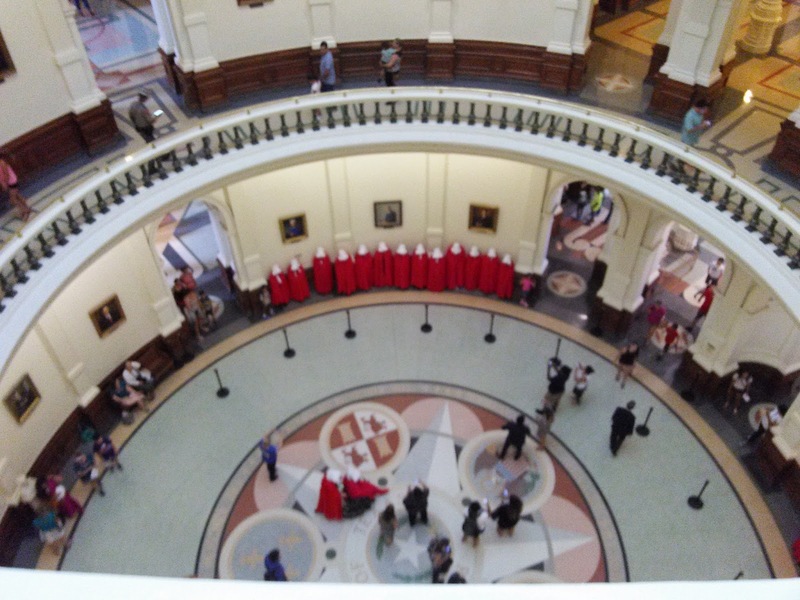 Bottom Line: Abbott's special session priorities need to see significant floor action in the house this week. If they do, he will be able to claim a legitimate victory on both agenda and tactics. If they don't, the questions will become very uncomfortable. "This man had been instructed in the way of the Lord; and being fervent in spirit, he spoke and taught accurately the things of the Lord, though he knew only the baptism of John." "Is this the same version of this bill that we passed out of the House during the regular session?!?" "And this bill was ultimately vetoed by the Governor, correct?!?" "Is this the bill that, in conversation, the Governor has referred to as the wrong tree bill?!?" "Did the Governor say that this bill 'gives the imprimatur of state law to the municipal micromanagement of private property which should be abolished altogether'?!? Phelan: "He might have said that, yes sir." 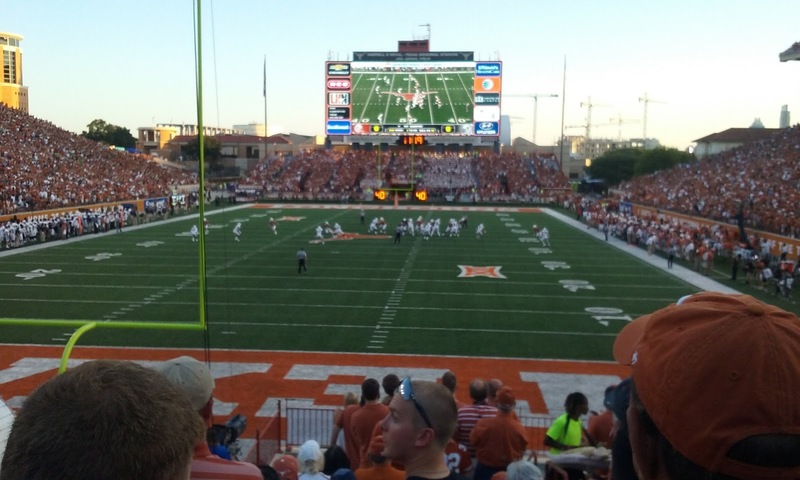 Note to self: Get picture from DKR with Capitol in background this season. Long story short: We're at about the five minute mark of the second quarter; we have a lead, but we just gave up a touchdown and, furthermore, we got smoked pretty badly in the process. Senate jumps out to a big lead with weekend committee hearings followed by getting 18 out of 20 items out of the full chamber. Early: Punts back and forth during early House committee hearings. Middle: House leadership takes over ball deep in their own territory. Attempts trick play with that tree bill stunt on Thursday. Unfortunately, the defense (ie. the Freedom caucus) was caught badly out of position and House leadership scored a touchdown. This isn't the end of the world, but it's a potential momentum shift if left unaddressed. The way to address it is for the Freedom caucus to not rely on other members and to have undeniably germane amendments ready to go on every bill that comes to the floor. Halftime: This Tuesday's edition of the Jim and Michael show. While we've had our suspicions about what would happen, to this point in the special session we've been content to let the process play out. We knew the time would come when events would paint a clear picture. That happened today. 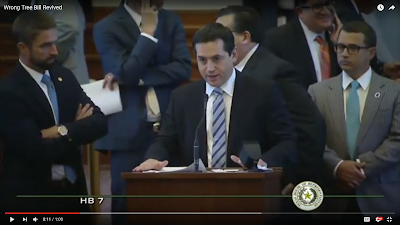 HB 7 (Phelan) is a pathetic impersonation of the tree bill that Governor Abbott has requested from the legislature. 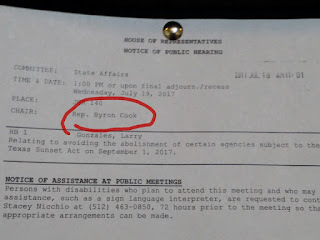 It was heard alongside the real tree bill in the urban affairs committee on Tuesday [Note: We signed in against but did not testify]. The difference between Phelan's bill and the real tree bill is that Phelan's was voted out while the real tree bill languishes in committee. Senate Bill 744 appears to be a compromise bill that imposes a very minor restriction on some municipal tree ordinances. But in doing so, it gives the imprimatur of state law to the municipal micromanagement of private property, which should be abolished altogether. This bill was well-intentioned, but by the end of the legislative process it actually ended up doing more to protect cities than it did to protect the rights of property owners. Obviously, the disrespect was deliberate. But hope had yet to be lost; Paul Workman was planning to use a floor amendment to attach the real tree bill to Phelan's shell bill. Then Workman inexplicably withdrew his amendment. And the House members did nothing. And NO Freedom Caucus member offered their own amendment to force the issue. Ultimately, 132 members (including five from the Freedom caucus) voted to pass Phelan's bill without any amendments. So, where do we go from here?!? Honestly...it's up to Abbott. It's his agenda that's on the line. 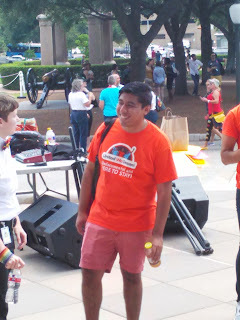 And he's the one who was explicitly dissed today. If Abbott gets actively involved, plenty of time remains to go 20 for 20. 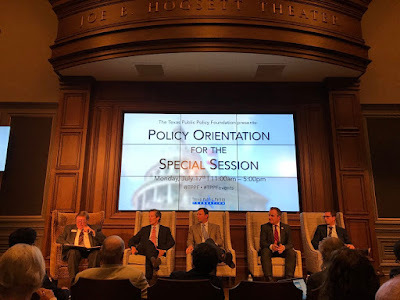 If Abbott doesn't get actively involved, according to Capitol sources, Straus only intends to move: the less important pro-life items (note: looks good on a campaign mailer), annexation (note: being from San Antonio, Straus personally needs this), something related to school finance (note: he'll push for the Huberty bill then settle for an interim study) and maternal mortality. Absent Abbott's involvement, everything else is dead in the House. #TXLEGE: Will House dithering force Abbott to call a SECOND Special Session?!? "For God gives wisdom and knowledge and joy to a man who is good in His sight; but to the sinner He gives the work of gathering and collecting, that he may give to him who is good before God. This also is vanity and grasping for the wind." We've certainly had our issues with Governor Abbott this legislative session. 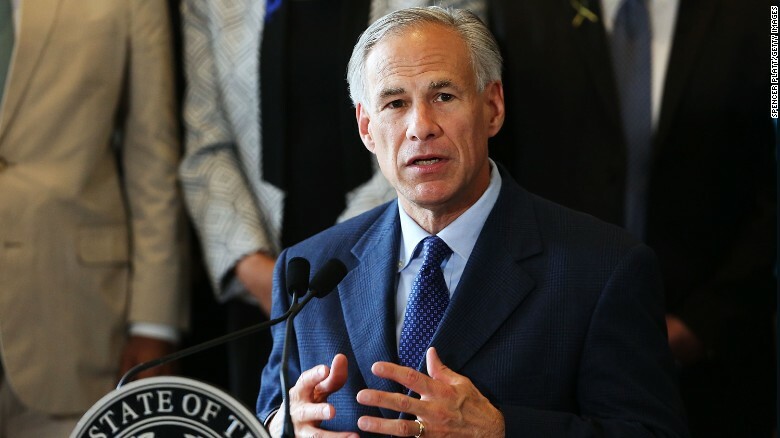 But, to his credit, Governor Abbott has shown significantly improved leadership during the special session. 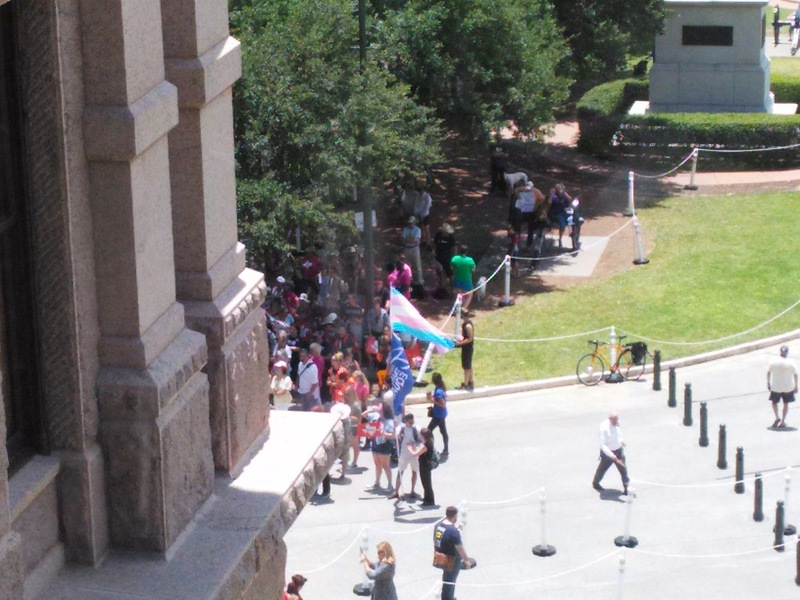 Since the special session was called, we've generally been content with what we've seen. Meanwhile, in the house, we've seen...not much of anything. We've had a few committee hearings, but none of the Governor's bills have yet to be voted out, and we're almost 30% of the way through the current special session. House floor sessions have lasted about fifteen minutes each day. They've passed one sunset bill...and that's it. Tomorrow will be the first day with a real calendar, and only one of those bills implements one of the Governor's priorities. On the one hand, it would be a shame if the house's inaction forced the Governor to ask taxpayers to foot the bill for another special session. On the other hand, another special session would present a golden opportunity to revisit Constitutional Carry (not to mention short-term rentals and historical zoning). So we'll see; there are any number of grassroots priorities that should not have to wait until 2019, but we've also got fall plans that we'd prefer to not have to break to hang out at the Capitol. "Oh, let the nations be glad and sing for joy! And govern the nations on earth. Selah"
The House had its first major day of committee hearings today. We signed up to testify on seven bills and deliverd that testimony on four. Bills we support will be listed in green, bills about which we are neutral will be listed in yellow, and bills we oppose will be listed in red. HB 70 (Workman): "Relating to a property owner's right to remove a tree or vegetation." We testified in favor of the House version of the tree bill in the Urban Affairs committee. We echoed the property rights related arguments you've seen delivered elsewhere. We also pointed out that trees usually add value to a property, which means that property owners rarely want to cut them down, but in the cases where it's necessary they shouldn't have to wade through a cumbersome process to do so. But, let's be honest: This is not the first time this author has testified in front of the Urban Affairs committee this session. We testified in favor of two separate property rights related bills in this committee during the regular session, and the Democrat committee chair refused to vote either one out of committee. As chair of the urban affairs committee, Carol Alvarado has a bad recent record on moving property rights related bills. HB 71 (Bohac): "Relating to the limitation on increases in the appraised value of a residence homestead for ad valorem taxation." We testified in favor of this bill in the Ways and Means committee. 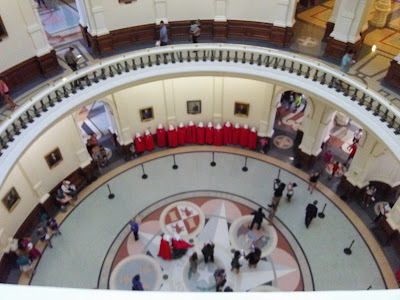 To be honest, we were pleasantly surprised that Dennis Bonnen chose to give it a hearing. It's well within the bounds of the special session call. The short version of why we support this bill is because there's two places to reign in the property tax system: the appraisal and the rate; while we fully support the discussion related to tax rates that's been generating more attention, we'd also love to do something about the appraisal system. HB 124 (GREG Bonnen): "Relating to the date for ordering or holding an election to ratify the ad valorem tax rate of a school district." We signed up to testify on this bill in Ways and Means but were out of the room when our name was called. This bill would require tax ratification elections for school districts to be held alongside November general elections; this would make it harder for school districts to game the system by calling tax ratification elections at strange time where only district employees show up to vote. HJR 18 (Howard): "Proposing a constitutional amendment requiring the state to pay at least 50 percent of the cost of maintaining and operating the public school system and prohibiting the comptroller from certifying legislation containing an appropriation unless the requirement is met." 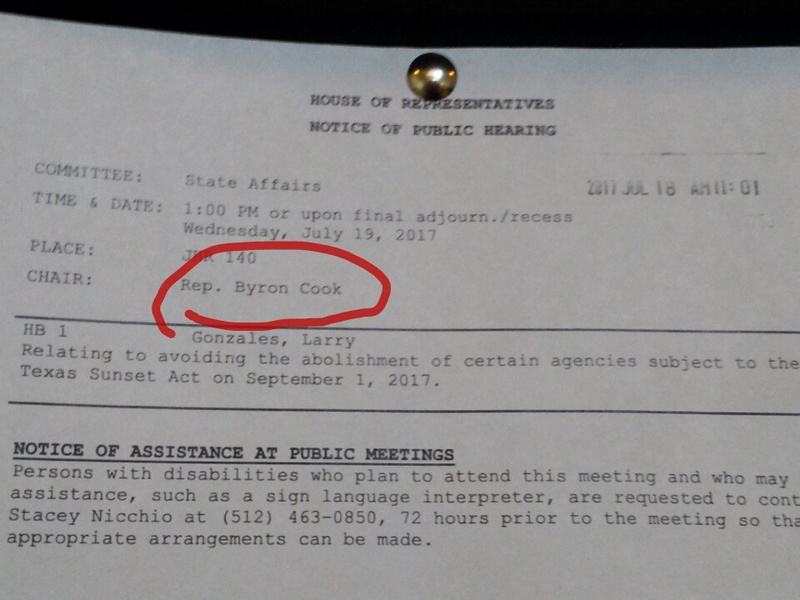 We testified neutrally on this bill in the Appropriations committee. As we explained in our testimony in the school finance testimony yesterday, we don't think it's entirely crazy to say that the state should pick up a greater share of the education tab. But, for that deal to make sense, the additional state funding needs to be accompanied by some form of structural reform to the system or dollar for dollar reductions in local property taxes (preferably both). 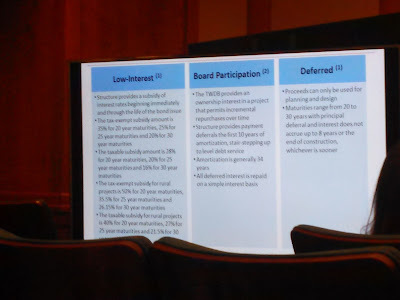 But the house seems to really, really want to do a school finance package and we want to make clear what we would need to see to become interested. HB 80 (Darby): "Relating to a cost-of-living adjustment applicable to certain benefits paid by the Teacher Retirement System of Texas." We were out of the room when we were called to testify on this bill in Appropriation but we oppose it because it pours more money into the current broken system without any reform. Appropriations also considered multiple bills related to raiding the rainy day fund to pay for teacher health care, which would be a terrible idea. 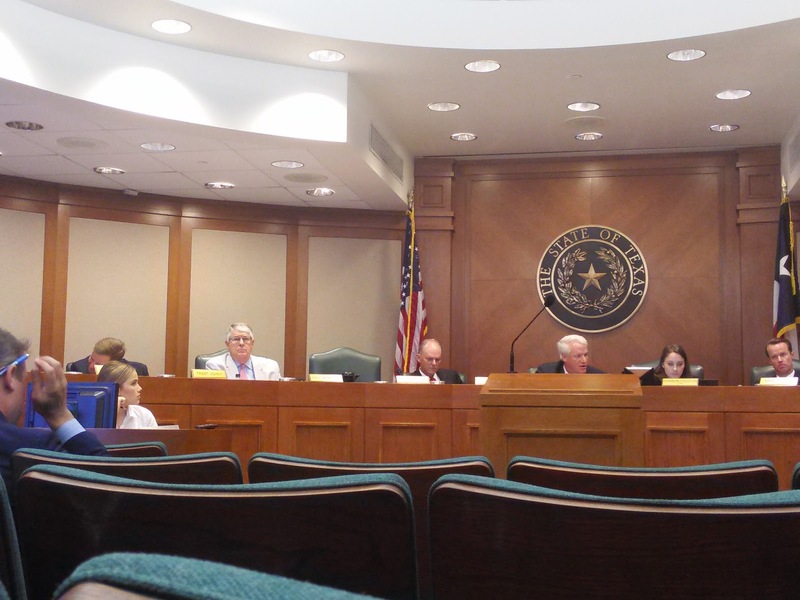 HB 3 (Dennis Bonnen): "Relating to ad valorem taxation; authorizing fees." This is the property tax transparency bill Bonnen started pushing late in the regular session when the he was unable to get the automatic rollback election bill out of his committee. We testified in favor of the bill as an improvement over current law. But we also made it clear that we did not consider this bill sufficient to call the 85th legislative session successful on property taxes. This led to a moderately contentious exchange with Bonnen about the relative merits of transparency vs. automatic rollbacks. Bonnen attempted to argue that we were saying that we'd be fine with taxing entities raising taxes just up to the limit into perpetuity. We pointed out to the chairman that moving from a forgiveness based system to a permission based system was the biggest thing anyone was discussing at the moment. 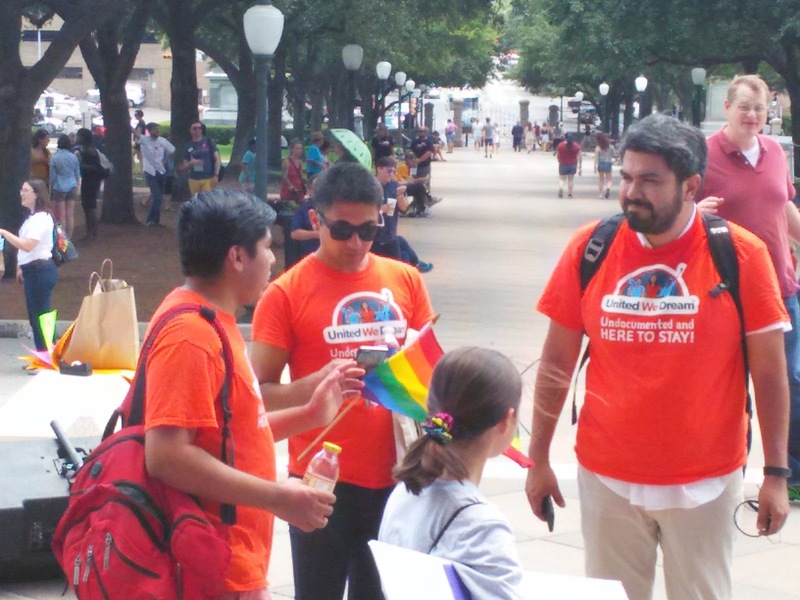 Another fun fact we realized after discussion of this bill: Mayor Adler also testified in favor of this bill; while this isn't the first time Mayor Adler and this author have agreed on an issue, the fact that he's supporting it should tell you everything you need to know about the practical effect it will have. 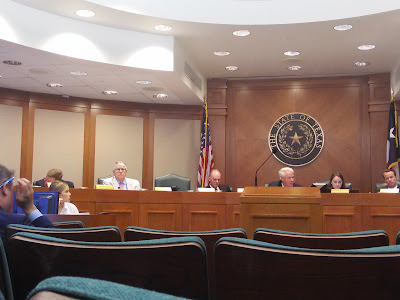 HB 4 (Dennis Bonnen): "Relating to the calculation of the ad valorem rollback tax rate of a taxing unit and voter approval of a proposed tax rate that exceeds the rollback tax rate." 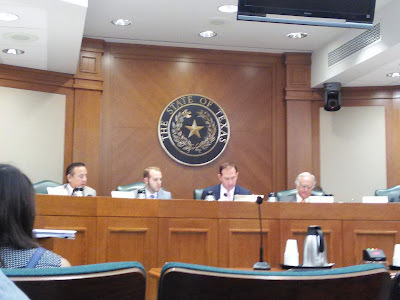 We had to leave before Bonnen called us to testify, but considering we'd had a sharp exchange of views during the previous bill he knows why this authors supports this bill. That being said, the most notable aspect of the testimony on this bill was that the local officials all showed up and lost their minds in opposition to this bill; had we been able to stick around, we would have pointed out to the chair that those people being that upset should tell you everything you need to know about which of his two bills would have had a greater impact. It's also worth pointing out that Drew Springer and even one of the Democrats on the committee grew visibly exasperated with some of the disingenuous claims made by the local officials; we'll see what that means for getting this bill out of committee. Bottom Line: We'll know how quickly these bills are moving in a couple days. Which is exalted above all blessing and praise!" We testified in favor of two more bills today. We got hissed at during the first. During the second, we got a standing ovation. SB 7 (Hughes): "Relating to payroll deductions for state and local government employee organizations." We testified about how taxpayers shouldn't be forced to subsidize partisan political activity. Government bureaucrats are free to engage in any political they desire on their own time and their own dime. But taxpayers shouldn't be asked to subsidize it. 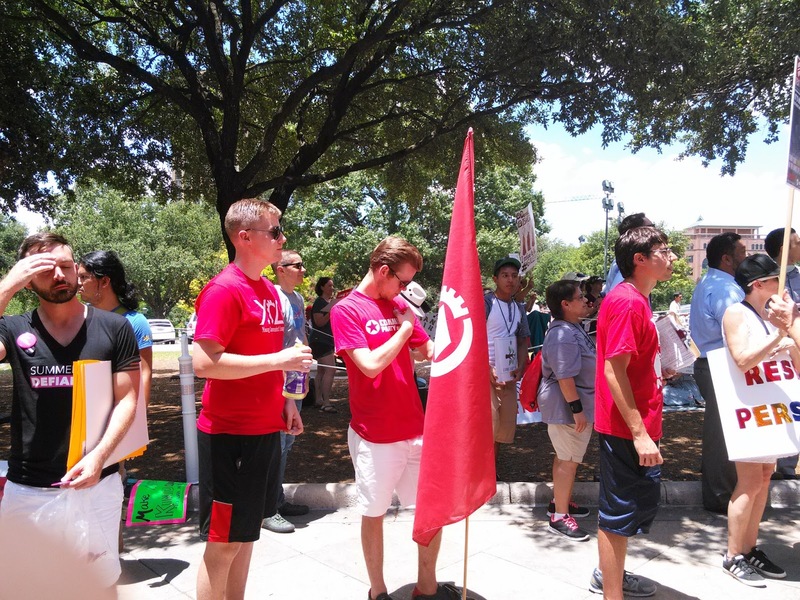 We also pointed out the need for a level playing field, so organizations (like the Texas Public Policy Foundation) that rely upon voluntary contributions aren't forced to compete at a structural disadvantage; several of the union people audibly expressed their displeasure with the TPPF comparison. SB 6 (Campbell): "Relating to municipal annexation." We testified about how involuntary annexation wasn't cool when the Germans did it to France, it wasn't cool when the Soviets did it to half of Europe, and it's not cool today when the cities of Austin, Houston, and San Antonio are doing it in the state of Texas. That was the line that earned the standing ovation. We signed up to testify on six separate bills today at the Capitol. We were only able to deliver that testimony on two. On the final four bills, our remarks are the testimony we would have given if we'd been able to stick around." SB 8 (Creighton): "Relating to health plan and health benefit plan coverage for elective abortion." We testified that, similar to the local defunding bill from yesterday, so long as our society is going to permit the slaughter of innocent children, they ought to at least not ask the rest of us to pay for it. That being said, we also realized later that eliminating abortion coverage from basic health insurance can only lower premiums. One of the taxpayer-funded municipal propagandists used the phrase "using zoning to protect property values" and we found that an astonishing euphemism for using the coercive power of the state to artificially restrict housing supply. Furthermore, we pointed out that housing costs are the biggest expense for the overwhelming majority of families nationally, in Texas, and here in Austin. When abusive municipal governments, starting with but not limited to the city of Austin, change the rules in the middle of the game it drives up those housing costs. This is terrible for upward economic mobility. Everything aspect of this bill is awesome. This bill has received a surprising amount of national attention, so there's not a lot that we have to add. The property rights aspect of this discussion is obvious. The only thing we would add is that the local politically entrenched disingenuous NIMBY crowd loves to use the tree ordinance as an excuse to delay construction and that anything that reigns in those people can only be a good thing. 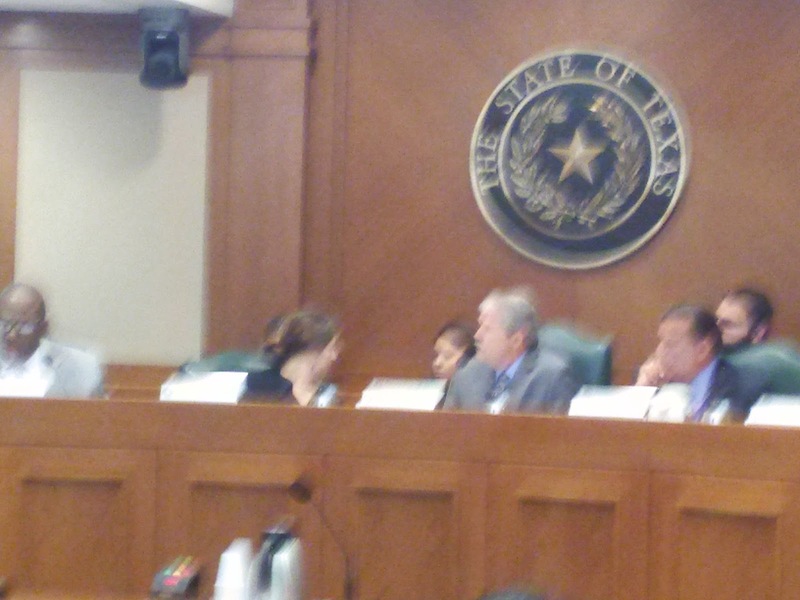 SB 1 (Bettencourt): "Relating to ad valorem taxation." There's been a lot of ink spilled over property taxes, to which we will simply add that the current property tax system is an obvious macroeconomic storm brewing on the medium-term horizon and that it's one of the few things that could truly take down the Texas economy (local government debt is the other). Furthermore, lowering the property tax cap would benefit renters alongside homeowners. Renters (even if they don't realize it) pay property taxes through their rent. Unfortunately, renters don't receive homestead exemptions. SB 18 (Estes): "Relating to a limit on local government expenditures." The flip side to clamping down on taxes is that you need to clamp down on spending as well and this bill does that. Furthermore, if you're serious about eliminating property taxes, making cities and counties live under spending caps starts to make that a realistically viable option in four or six years down the line. In the day of the east wind." 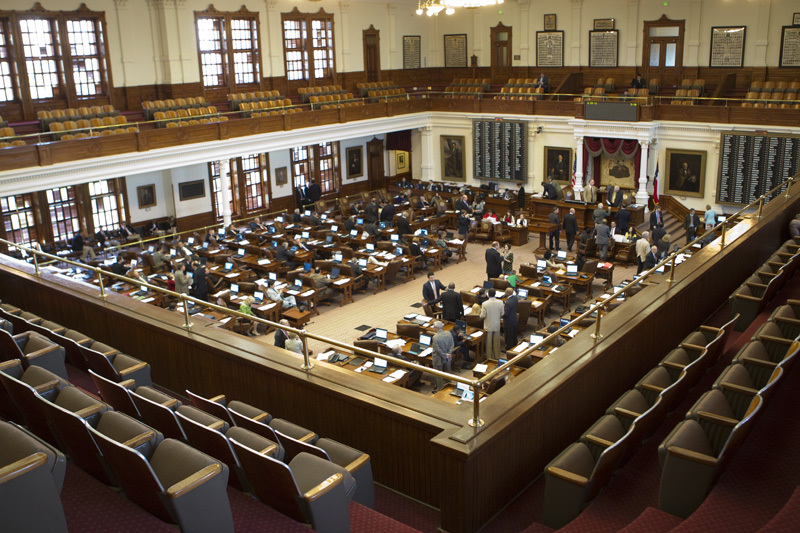 Texas legislators could end up passing bills to reform the state's school finance system and help out retired teachers this special session. After the Senate voted early Thursday morning to pass a bill keeping several key state agencies alive, Gov. 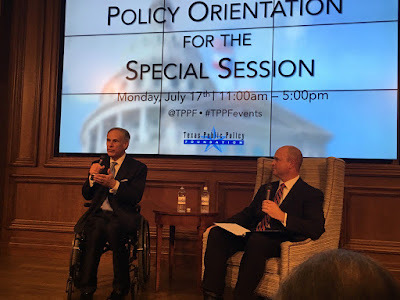 Greg Abbott immediately expanded the special session agenda by adding 19 items — and dramatically expanded the focus of two education-related priorities he had announced last month. 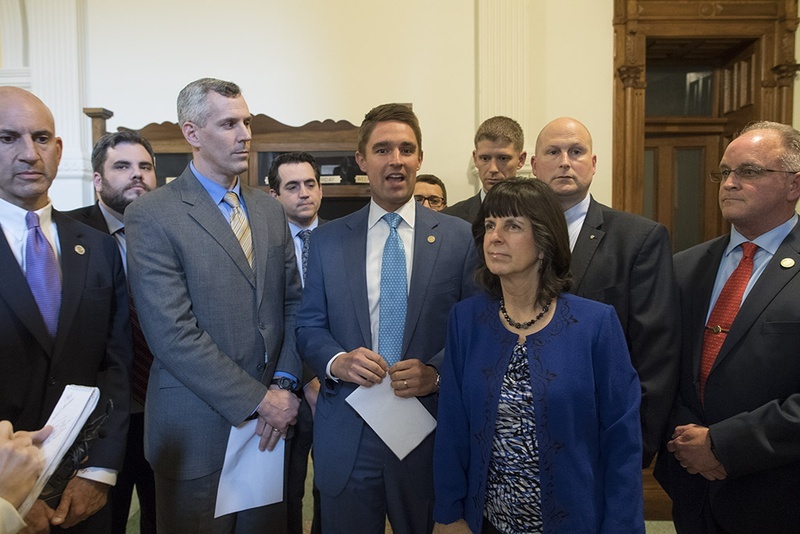 When Abbott announced his call for the special session in June, he said he would ask legislators to increase teacher pay by $1,000, and to establish a commission to recommend improvements to the beleaguered school finance system. The expanded call Thursday would allow legislators to pass bills improving a state-run health care plan for retired teachers and making major reforms to the school finance system, including the extension of a state aid program that would help mostly small, rural school districts. Translation: Busting quorum is no longer a politically viable action for the Democrats. If they were to bust quorum with school finance and TRS-care on the call, their base in the socialized education industrial complex would (justifiably) go bonkers. Abbott knows this. As to the substance of the issue...it's too early to tell. In terms of broad philosophical alignment, we're favorably inclined to where the Lt. Governor and Larry Taylor want to go. But on big, complicated, topics like school finance and TRS-care the devil will always be in the details. 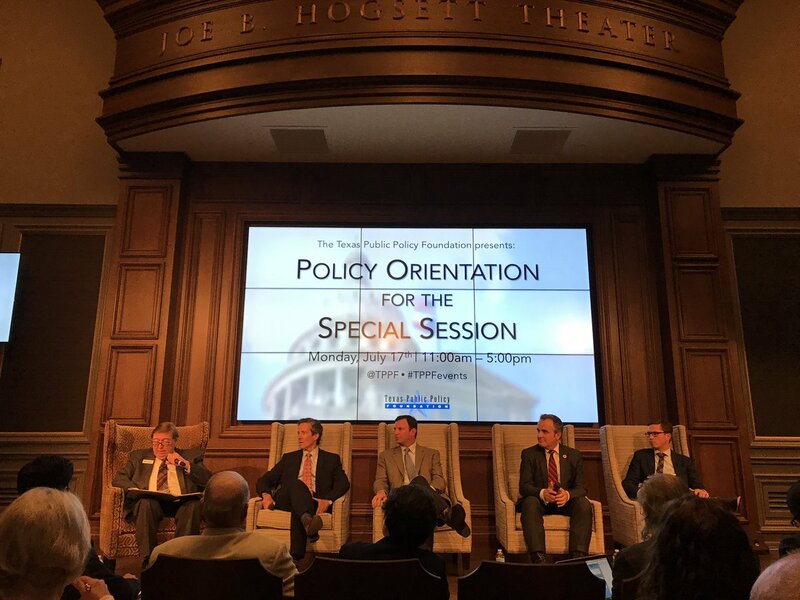 Personally, we had planned on using the special session to move the philosophical discussion in the right direction while sweating those details closer to next session. But the Governor's action changes that calculation. Those details now matter a lot more. We'll leave it at this: assuming, for the sake of discussion, that the house and senate are able to reach an agreement among themselves (*)...we want any 'compromise' bill that emerges from that process to be posted for at least 72 hours before it is voted upon in either chamber so that people (ie. this author) have a chance to read it. Bottom Line: Theoretically, if a lot of conditions are met, we'd be willing to pass major school finance and TRS-care bills during the current special session. But abstract theory and practical application are not the same thing. And we will caution all interested parties that, if we can beat Warren Buffett, we can kill a school finance bill. * -- Note: That's an AWFULLY big assumption. We suspect that the philosophical divide between the two chambers is too wide to bridge given the current roster of each. Thus we don't think there will be any major changes to school finance prior to both the primary and general elections in 2018 (but we could be wrong). And a rod for the fool’s back." 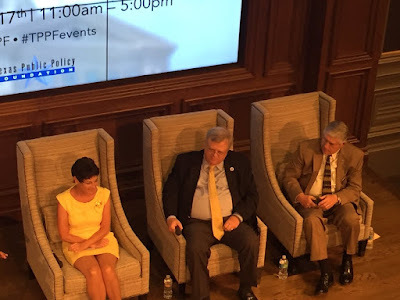 We attended this morning's trib event with Carol Alvarado, Drew Darby, and Matt Schaefer; the TL,DR version is that Alvarado was crankier than usual, Darby doubled down on support for Straus (while explicitly coming out against property tax reform), and Shaefer thrived in the face of a withering assault from Alvarado and the audience. Schaefer: Call items = "conservative home run." Alvarado calls Schaefer "obsessed" with protecting life. 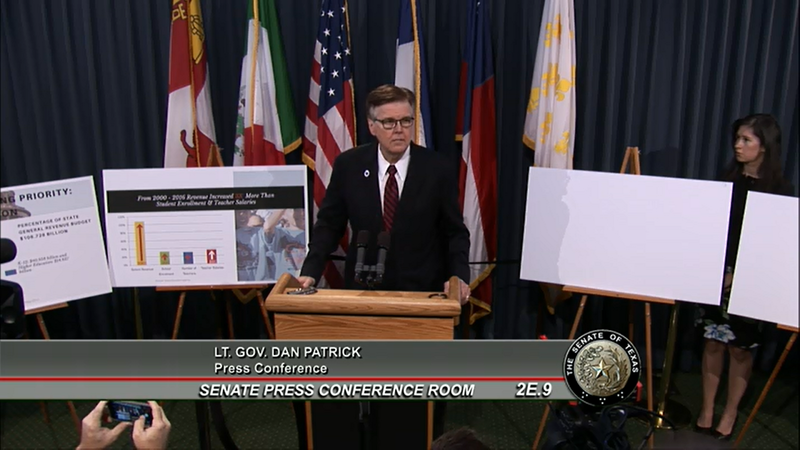 Darby: Straus "not a hands on speaker." "If we [the house members] don't want a bill to move, it's not going to move." 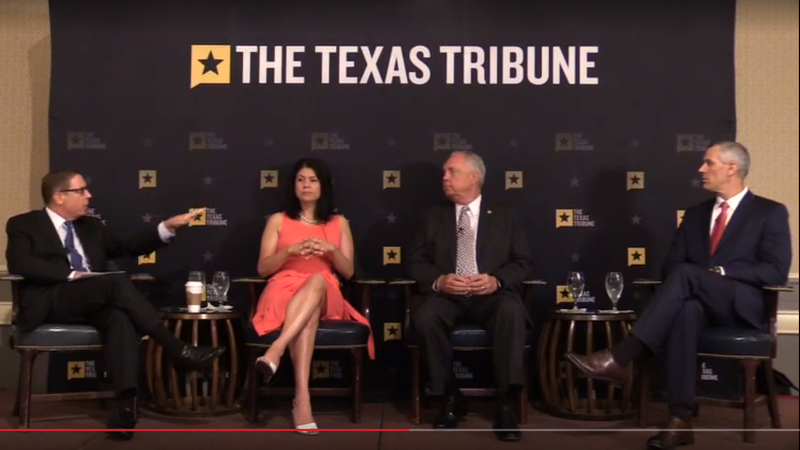 Alvarado endorses Straus' "school finance is the only way to lower property taxes" nonsense. More Accurate Headline: Democrat echoes Straus' position on property taxes. Alvarado calls the rule of law "anti-freedom." Darby compares Abbott holding legislators accountable to parents threatening children during Christmas. Alvarado: "I'm going to be holding hearings on substantive issues" in Urban affairs. Note: Duly noted re: historical zoning. 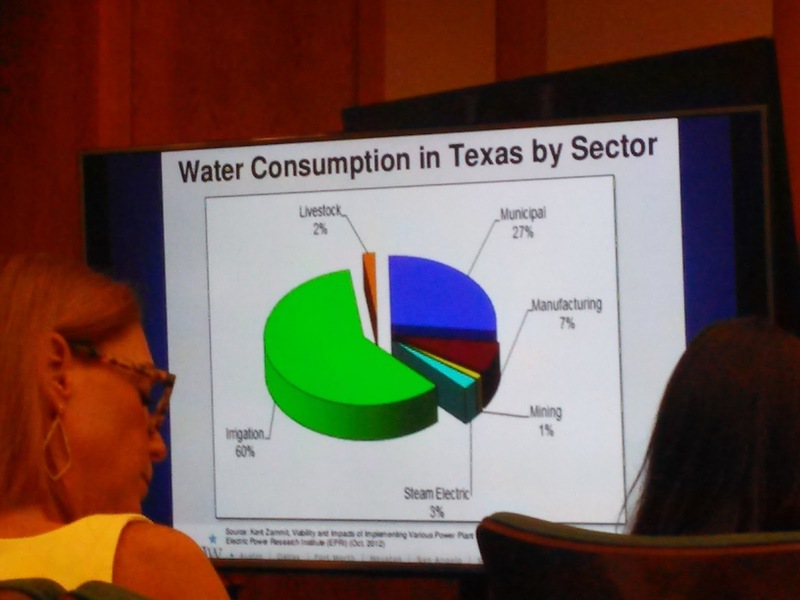 Alvarado: Revenue caps in Houston haven't worked. Darby: "The House's position on these issues hasn't changed." "I am not going to change my position." Schaefer: "There was a slowness to the work of the House" during the regular session. Alvarado calls teacher pay increase "unfair to local school districts." Endorses raiding Rainy Day fund as alternative. Darby throws privacy act under the bus. Alvarado keeps door open on busting quorum. Darby, in response to question from this author: "I'm opposed to any lowering of the rollback rate" on property taxes. Note: We worded our question to Darby about property taxes very specifically see if he would pivot to discussing his property tax bills as an alternative to changing the rollback formula. He did not. Thus, it seems unlikely that Darby any intention of pursuing those bills and merely filed them as election season CYA. #TXLEGE: Freedom Caucus DOMINATES Early House Fundraising!!! We obviously know about the Governor and Lt. Governor's fundraising, but did you know that 7 out of the top ten fundraisers on the House side are Freedom caucus members?!? While we're on the subject, among challengers Thomas McNutt (running against Byron Cook) raised over $320k and has $250k cash on hand; Mayes Middleton (running against Wayne Faircloth) has $480k cash on hand and has over 100 individual donors including former good UT regent Alex Cranberg! Bottom Line: This tells you everything you need to know about where the energy and momentum lie. Senate moves promptly on Sunset -- Shortly after they gavelled in, the Senate went into recess and held a committee hearing on the sunset bill They're widely expected to vote the sunset bill out of the chamber tomorrow. 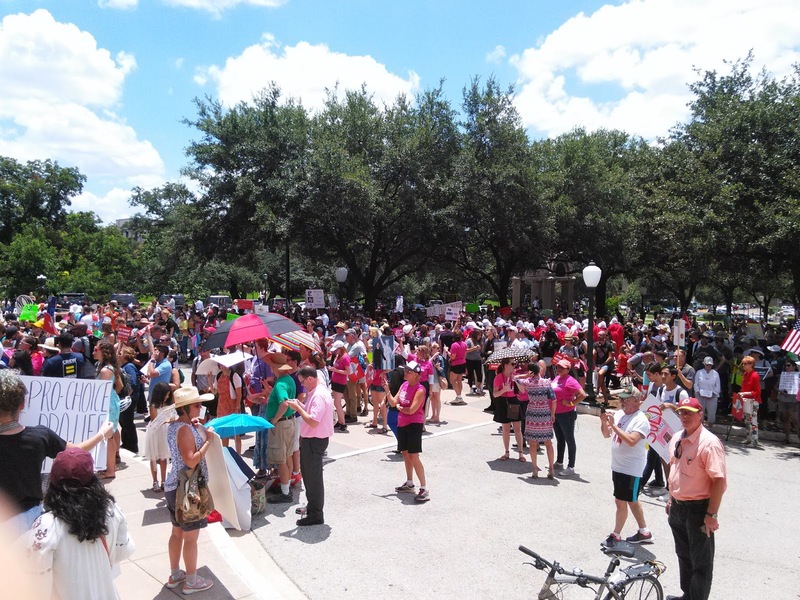 Expect Governor Abbott to formally amend the call to include the 19 other items tomorrow afternoon or early Thursday. 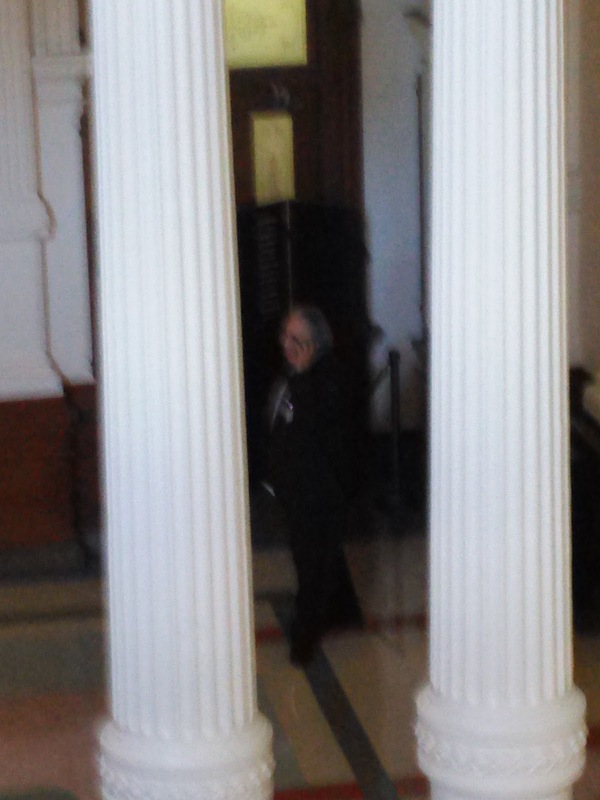 Bud Kennedy outside the Senate chamber. Senate committee hearings on non-sunset items likely to start Thursday, get into full swing Friday...but that schedule is not set in stone. We chatted with a Texas Observer reporter about the pro-life bills -- We'll see what (or even if) they publish. We explained that it's abhorrent to ask people to subsidize tearing up babies in their mama's womb either through local taxes or their health insurance. We also explained how the Charlie Gard case in the UK creates a new sense of urgency on the DNR bill. The left holds a pathetically small rally -- The intersectional left of various persuasions came together for what they'd previously hyped as the biggest rally ever. 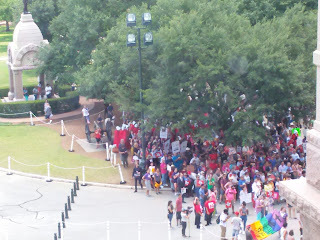 About 200 people showed up. We didn't pay particular attention to what they were talking about but apparently "compassionate care" is a new euphemism for abortion. Also, something or other about "transgender equality." But at least the commies showed up!!! "Prepare yourself and be ready, you and all your companies that are gathered about you; and be a guard for them." 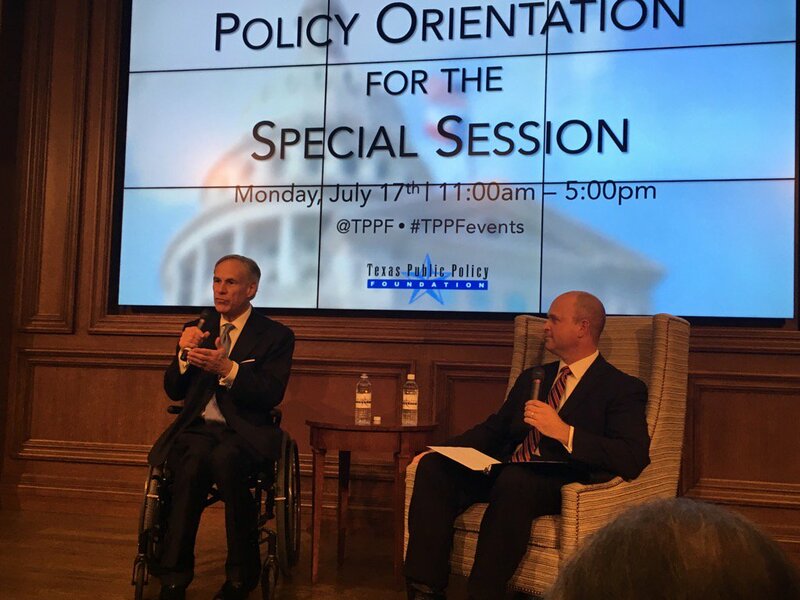 TPPF hosted a supplemental policy orientation today with a mix of speakers and panels; the following is a direct transcription of our notes. Teachers are the most important part of the education process. School finance -- What has been studied previously is not adequate. No more "band aids over band aids." Current education structure focuses on "schools, not students." Cities have enacted policies that are hostile to economic growth. "If we don't stop this, real quick, we are in real danger." Taxpayers should have a say in tax increases. #1 issue we must address. Private property rights are being diminished across Texas. "I want a vote" on union dues bill. Dallas mail in ballot fraud nothing new. Been going on since (at least) Lyndon Johnson. Removing paid political operatives from the process. Publishing lists of special session items re: who's supporting/who's not "on a daily basis." Points out Straus laying foundation for state income tax in the first paragraph. 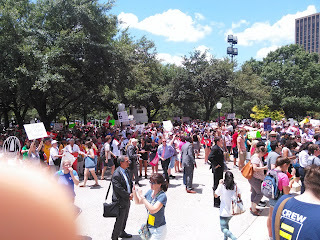 Along with Democrats and school district officials. 52% of budget goes to education. Teachers only get 32% of education $$$. "It's not an unfunded mandate...school districts need to re-purpose the money." Teachers unions oppose higher pay for teachers. 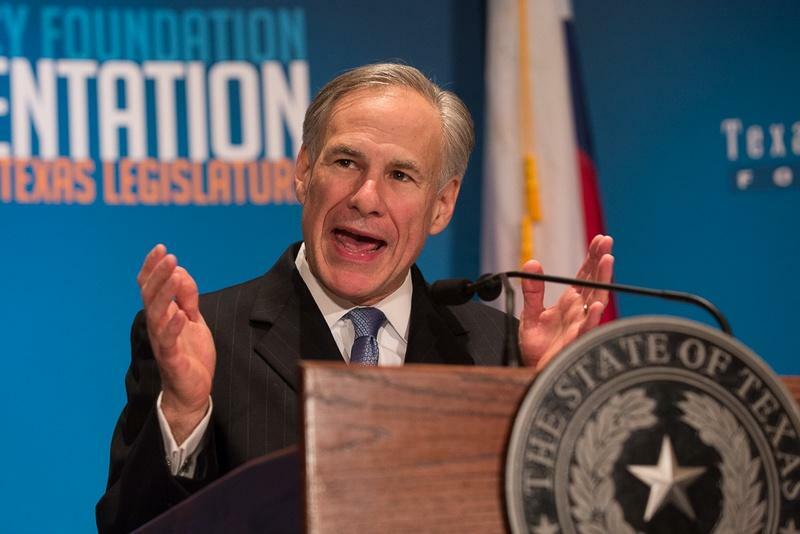 "Governor Abbott and I do not want Texas to become California or Illinois." "Greg Abbott's priorities are my priorities." House has lots of members who will vote the right way "if they get the chance." "Texas likes fighters, not quitters." "We've shown that big government Republicans are wrong." 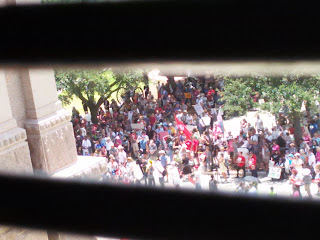 re: Straus: "Don't undermine the entire party and the entire state." Statewide spending limits needs to go down to (population + inflation). 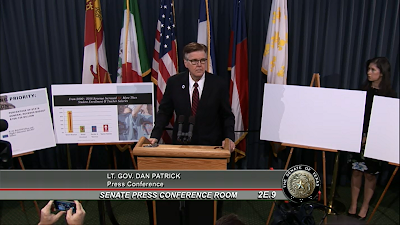 Hancock: Abbott created conference committees before the bills were even filed. Public sector unions are bankrupting California. Hancock: Spending is where you control the growth of government. (Population + inflation) is a real cap. Note: As this session's budget can attest, (population + inflation) is more of a bare minimum than a real cap...but it would still be a significant improvement on the status quo. 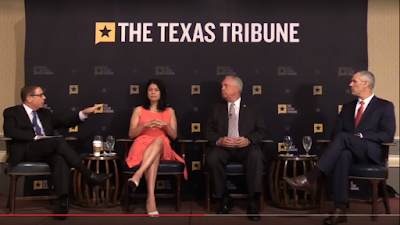 Gleason: It's easier to pass things in other states when Texas has done it. Gleason: Kansas cut taxes, but failed to keep spending in check. Cities are doing power grabs to increase their tax base. Annexation: Cities have been unrestrained for decades. Campbell's bill expedites voluntary annexation. Texas is one of the last states in the country to permit voluntary annexation. Property Taxes: Revenue up >30% in all the major counties over the past few years. Anywhere you go in the state, appraisals are up at least 15% annually. School districts have to hold tax ratification elections past a certain threshold; you need a similar mechanism for cities and counties. Current rollback petition requirements "are fictitious nonsense." Rollback rates have been >5% since Jimmy Carter. Bettencourt supports 0% rollback rate but doesn't currently have the votes. Texas currently chasing New York and Illinois on property tax burdens. Tree Bill: Heritage trees add value to property, so cutting them down is rare, but in the cases where it's necessary it's none of the government's business. Westlake tried to fine a property owner $100k for cutting down a tree on his own property. Expedited Permitting: Workman's bill states that cities can have expedited permitting, but doesn't allow them to add strings to the process. We've finally gotten our legislative testimonies from the regular session online; presented in chronological order. 3/14/2017 -- SB 451: "Relating to regulation of short-term rentals and short-term rental marketplaces by municipalities and counties." Give judgment in your gates for truth, justice, and peace;"
"I support all 20 bills that the Governor has put on the call for the special session that begins next week. I've got my 20 for 20 pin on...I've noticed a lot of House members wearing it as well. We've already passed 10 of those out of the Senate; they were killed by the speaker and that's why they're back on the call." "During the [regular] session we passed 30 of 30 of our priority bills and I intend to pass 20 of 20 of the Governor's priorities." 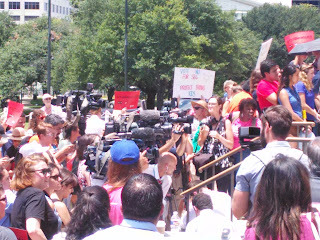 "Clearly, the people support this legislation." "The Senate will hit the ground running next week, and as always we will be efficient and get the work done." "I believe the House can pass 20 for 20 as well...if they ever get a chance to vote for them on the floor." "A bold and serious plan to increase teacher pay." "Teachers are the most important part of a child's education; we must make every effort to compensate them for the work that they do." "Laying out a plan to end recapture." "This is a serious plan, which is different from what the speaker laid out during the regular session and continues to talk about; THAT WAS NOTHING MORE THAN AN EDUCATION PONZI SCHEME." "The speaker's school finance plan took $1.5 BILLION from the foundation schools plan; it would have delayed paying school districts one month to give them the same money." "There was no funding in the speaker's finance plan; it was a ponzi scheme." Straus' regular session education funding shell game "was a dangerous political stunt." Property tax reform "needs to pass." "Where do you get billions more for education?!? The only way to do it is a state income tax." "I will not join the speaker in laying the groundwork for a state income tax." "Let's stop talking about billions of dollars coming out of nowhere." "Just throwing billions at [education] won't make a difference, and I'm offended to see anyone try to use public education as a political tool and a political stunt, promising to throw billions at it without a plan and not telling people where the money's coming from." 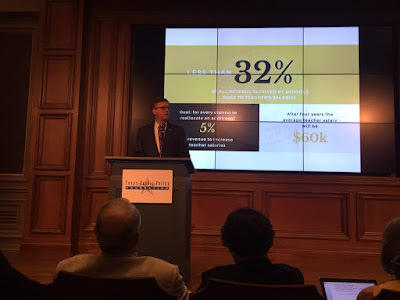 "We spend 52% of all the money we have [in the state budget] on education." "There is no more money, Mr. Speaker." "We're not hiding $1.5 billion under the Sam Houston mattress in the Governor's mansion." "At the local level, and at the state level, [education] is our priority." "Every agency always wants more, but we are not underfunding education, it's over half of our budget." "Teacher pay has only gone up 35%." "Where's all the money going?!?" "Teachers are the key. Buildings don't educate students. Expensive stadiums don't help teachers to help kids to read or solve math problems." We spend $163k per classroom on average while teachers get 52k. Less than 32% of the education budget goes to teachers. If you redirected 5% of the money that's going into the bureaucracy you could give teachers an $8000 raise. Longevity bonuses for teachers coming from the state. Retired teachers with 20 years + experience will get $600/month longevity bonus. How do you pay for this?!? We need to direct that money. In the short term, make a deferral from a managed care fund. In the long term, pass a constitutional amendment to dedicate funding for teachers from the lottery funding that's already dedicated to education. "We're just directing the money to teachers, because [school districts] aren't." Robin Hood: Never more than $1.5 billion per budget cycle. 1% in savings across the state budget can cover the Robin Hood payments. Nelson and Larry Taylor carrying the bills.